Good rest make good thoughts! 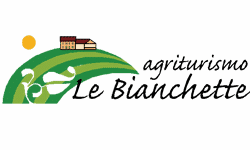 Agriturismo Le bianchette is an ideal starting point for your holidays or work engagements: short distance from Verona, Mantova, Garda Lake, Verona’s airport and main highways. Perfect location to rest during your favorite trade fair: vinitaly, fieracavalli, fieragricola, marmomacc (verona trade fair calendar 2016), very close to amusement park of Garda lake. Since 2003 our house, with the marvelous surrounding view and the quite atmosphere, is ready to host you in 7 ensuite rooms, newly restored with bio construction ideals, clay walls, wooden ceiling and floors, attention to details, to find peace and calm to slow down and enjoy relaxing countryside. you will find yourself surrounded by agricultural world and muffled sound of nature. You will start your day admiring countryside and the wide view you’ll have from our bought windows. we will cuddle you with a rich buffet breakfast, natural and home made products, served in the panoramic hall during winter, or in the terrace during summer. Some rooms have a small kitchen inside, please request in advance. One of the rooms is newly restored barrier-free, to meet different needs.